Lord Rouge Teddy Bear is 100% handstitched by me from beautiful felted red mohair fabric. 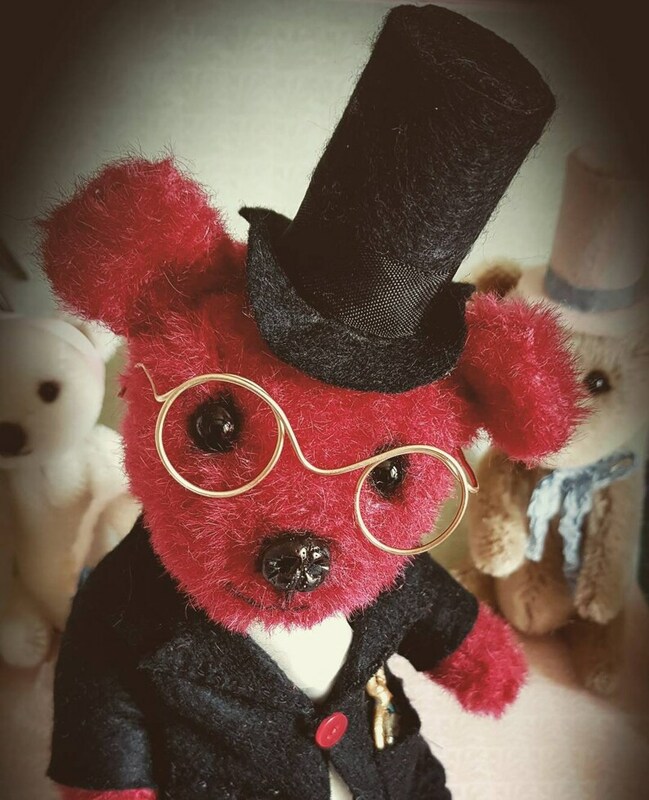 He wears his favourite top hat, glasses, jacket and trousers which are handmade by me. He has glass eyes and a nose hand sculpted by me. He is stuffed with polyfil and steel shot in his little tummy to add a satisfying weight when you pick him up. He is 20cm in height when sitting down. He is fully jointed using cotter joints. Rouge longs to find a loving forever home where he can be someone's forever friend. Dandelion Bears are not toys and are collectible artist teddies for bear loving folk aged 14 and over. My critters come from a smoke free home. 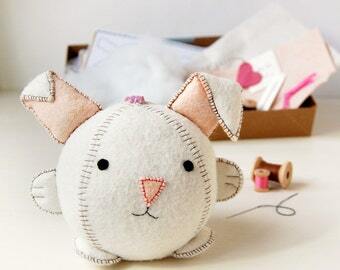 They travel in a comfortable gift box with a handmade adoption card.